Whether you’re an expert programmer or new to coding, this is where you’ll find everything from introductory guides to Python and SQL, to expert CSS or VB.Net code examples. There are four parts to PowerShell error handling: the Error Action parameter, Try/Catch blocks, the Error Variable parameter, and logging. Learn how to do them all. Java RMI stands for remote method invocation and is a protocol to invoke a method of an object running on another computer. Learn all about the Java RMI registry and how you can use it. HTML5 is the latest version of the most widely used markup language on the web. If you’re not using the latest features, you’re missing out on some cool functionality. Consider testing your Swift programming skills with these Swift coding challenges. Not only are they fun and stimulating, but they’ll give you the confidence you need in your own abilities. Forget the geek culture you see on TV — developers make perfect dates. Here’s why your next date should be a programmer, and why they’re so fun to date! Peter Answers is touted as a “Virtual Tarot”, as though the page can predict your future. In this article, I would like to answer the question — how does Ask Peter work? The following are some of the most common programming and coding mistakes made by developers. These errors have resulted in widespread outages, data theft, intrusions and more. If-else statements are pretty straightforward, but you might not know how to use them in Windows batch files. Here’s all you need to use them. With these TED Talks on programming, you will learn how to be a programmer. Knowing how to write code is one aspect of programming, but knowing how to think is key. If you write HTML in an editor and paste into WordPress, often annoying HTML formatting is added. Using simple shell scripts, you can clean that up. What Are CNAME Records and How Do You Use Them? Today I’ll be showing you how and why to configure the CNAME records for your domains. Codea is a $15 purchase from the App Store, and it allows you to create your own iPad apps with ease. Don’t despair! You don’t have to know CSS or PHP to build a fancy site. Some good old HTML and knowing how to copy-and-paste will do. If you start a Joomla site this year, here are some of the most useful free Joomla extensions to install right away. They’re free, so what do you have to lose? C is not a dead language. In fact, IEEE Spectrum magazine ranked it as the No. 2 top language in 2017. Here are five reasons why. Markdown language comes in many flavors, some of which are better than others. Lightweight languages like AsciiDoc are easy to learn and extremely useful. Here’s how it compares. The C programming language is the mother of all modern programming languages. Almost every language in use today includes several features which first appeared in the C language. In addition to being able to accept and execute commands interactively, the shell can also execute commands stored in a file. This is known as shell scripting. 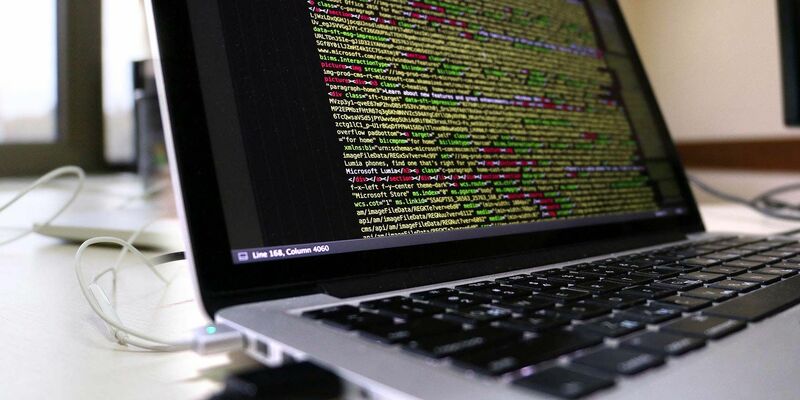 Here we cover the basics of shell scripting. Whether you are writing a GUI, developing server-side software, or a mobile application using Android, learning Java will serve you well. Here are some core Java concepts to help you get started. If you run a website, you’ve probably heard about a robots.txt file. This simple text file is a crucial part of your site. You might be surprised at just how important it is. If you want to exercise your mind in a fun way without writing a single line of code, there are several no-code hobbies you can take up to become a better programmer.